Welcome to our new PhD student: Matt Ylitalo. Matt came to St Andrews in 2013 to do an MLitt in Reformation History. Over the year he developed interests in the question of what constitutes knowledge and facts, leading to a dissertation the linked travel, the transfer of knowledge, and the Royal Society in the seventeenth century. Matt’s project assesses how whaling in Dundee contributed to the history of maritime science, and to the city’s ‘global’ status, during the long nineteenth century. The project will investigate whalers’ networks and processes of knowledge accumulation and transference; the project will then examine the impact that this epistemic migration had on Dundee in comparison to other transatlantic whaling ports. Many towns throughout coastal Scotland engaged in whaling in the nineteenth century. 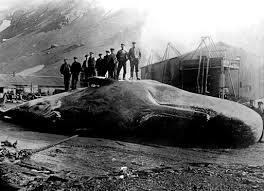 On a transatlantic scale, ports such a New Bedford, Massachusetts and Sandefjord, Norway far outstripped Dundee in the magnitude of their whaling operations. Yet Dundee distinctly stands apart from other Scottish and transatlantic whaling communities. Most whaling communities followed an ephemeral pattern of existence, which consisted of hunting whales intensively for several decades, falling into decline and then realigning to more locally- or regionally-oriented commercial orbits. Dundee, however, defied this model both in duration and commercial scope. (…) Read more here.